love the 6ULs , I wish they still made a x7 +36, would've been rocking it. Best pics of your car I've seen, T.
Looking good and what's under the hood has me oh so jelly. 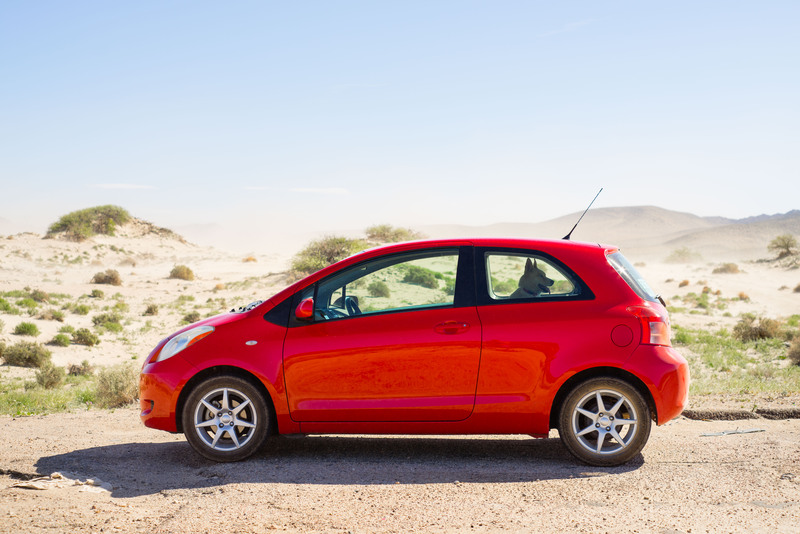 Actually my parent's Yaris now, on the way through the Mojave. Tmontague: That black and gold combo looks epic! Haha, so it is... I must be going blind. Either way, that looks good! Old, but most recent side-pic I have of my Yari. This was before I put the low-profile VVT-i aluminum badges on the lower rear side doors. Looks like a smart desert car, with white paint and dark tint. ...getting white fur all over the black interior. Yeah, I saw what the desert sun did to my Lapis Blue Accord after arriving in Phoenix back in 2009-2010, especially since I wasn't using a garage at the time. I decided to be practical and go for white in this environment - which I do like - but I probably would have went with Blazing Blue Metallic or Magnetic Gray if I was still living in Atlanta. I read this article here.. But I would like to know how you go about doing the claybar technique? I use a detailer spray as my clay bar lube and I clay bar it once or twice a year after the winter and mid summer. I hand wash (2 bucket method) the car first then clay bar it. I then polish it (no more than 1-2x per year) and then use a synthetic wax on it. A couple weeks later I'll use a hard shell paste wax as I find it is the most durable and then every time after that I use a liquid syn wax. I also use rain x on the Windows which works wonders. I do all of this more for function over form. I want my paint to last until the day this car hits the scrappers and I dd drive it in the gta. Anyone who drives any of the gta's highways can attest to how harsh they are on a cars paint. Soame with parking in a parking lot in the gta, people not longer have any awareness or care about other people's property. My car has some small dings and the front bumper needs sanding and new paint thanks to all the salt and rocks, but overall the paint is in good shape as is the clear coat. My underbody is also doing well and has litke to no rust thanks to the krown oil spray every spring once the salt is off the road. I just rinse down the underbody of the car with a hose the evening before I get it sprayed to get rid of any salt.